I found another "Voices" album on the stack this morning. In this case, a two record set. 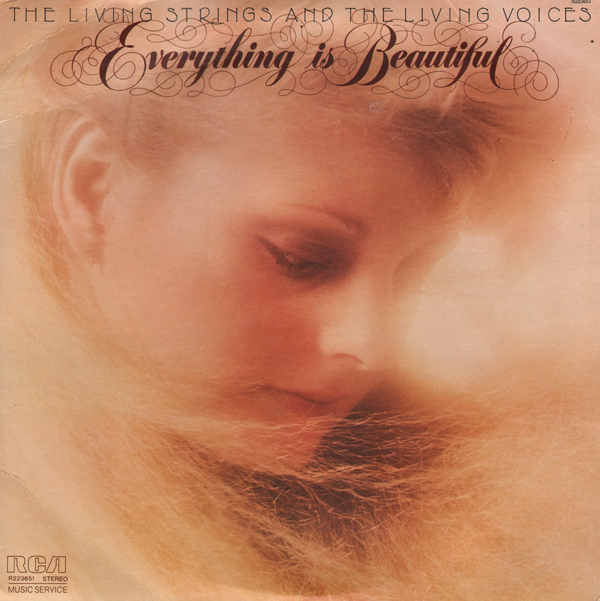 Living Voices are yet another guilty pleasure. 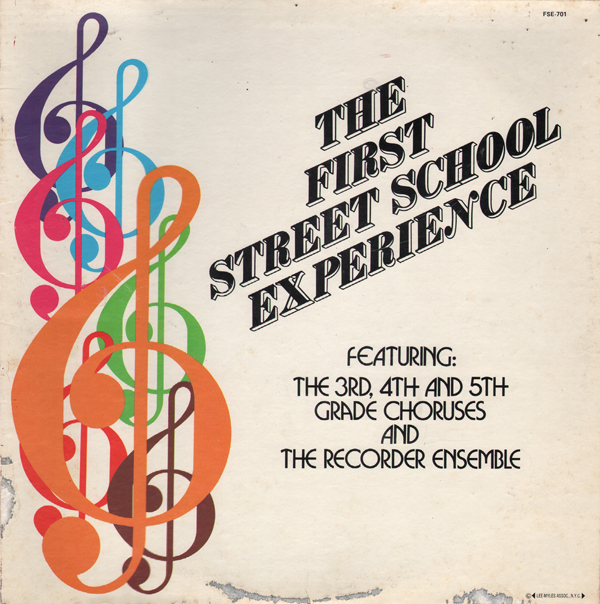 With one insane exception (Positively 4th Street) the albums are produced as mainstream easy listening. But there always seems to be a gem or two on each record. Usually I'll find a rock/pop song cover that is a tough sell done as easy listening. 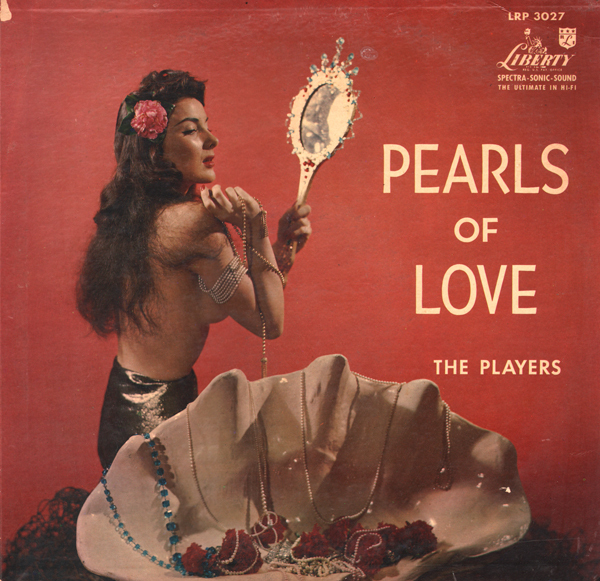 This album features a few lounge-like vocal tracks. And the luke warm cover of the Strings Theme From Charlie's Angels can't be overlooked. Not much info to go on as to date recorded or location of the school. I know... where's the link? There is none because I'm assuming someone somewhere cares about the copyright to this album. Apparently there was a CD released last year, but is now unavailable and at least one track is available for digital purchase download. Sometimes I just post album covers because the LP is worth looking for. This is another example. Mancini was still grooving in 1973 when he scored this soundtrack. 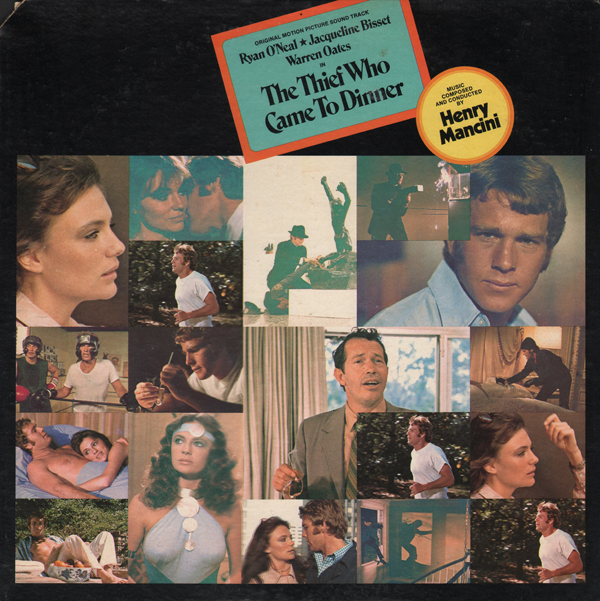 This album features that good and cheesy 70s movie/TV soundtrack vibe I know and love. But Mancini takes that period audio groove and arranges with a depth and variation that other composers can't touch. Great stuff. 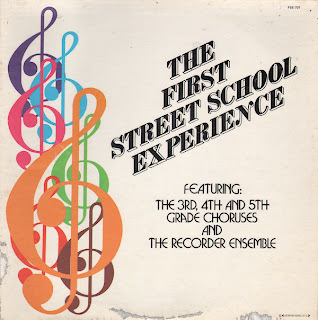 More 60s easy listening vocal insanity arranged and conducted by Bob Armstrong. The Living Voices are at their best when covers "rock/pop" tunes. For a fantastically crazy Living Voices album check out Positively 4th Street. Here's an early Liberty album, number 27 as listed on Liberty's discography. And as usual, for Liberty, this is a fine space age album. 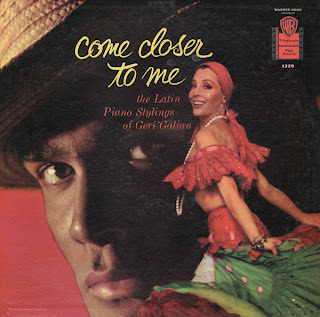 Of course, the gem of a cheesecake cover (photo by Gene Lesser) was worth the price of the LP to me. As you can tell from the sample above, the vibe is sort of Three Suns spacey easy listening. The Players may have been studio musicians assembled to make this one album. I couldn't track down any info on the group. 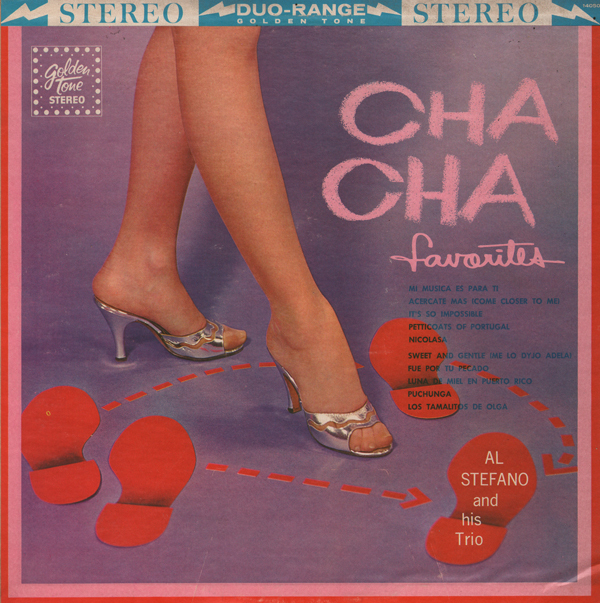 Also check out Stefano's Rhumba Favorites. This is a good budget album that may have been released on several other bargain labels such as Pirouette. But that doesn't take away from the fun. The fabulous cheesecake cover features Nejla Ates. She also appears on a El-Bakker title: Port Said. The music is very good for this sort of album in that the engineering is excellent. The instrument separation is clean and percussion really pops. The LP almost sounds as if it is playing in stereo. The arrangements are inventive and the pacing of album helps hold interest. 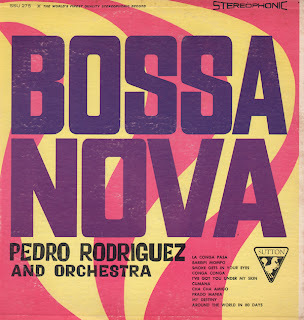 Budget Bossa Nova fun that offers little consistency in vibe between tracks. Sutton probably a made up the group name and assembled the set from a variety of sources. There are one or two decent space age tunes on the LP. 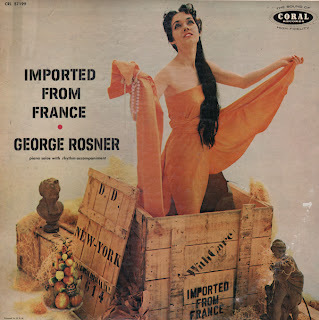 From the back cover: Acclaimed in all the capitals of Europe, with a command performance before King Michael of Rumania to his credit, Mr. Rosner arrived in the United States with a solid and impressive background of success. Since, he has appeared in the finest supper clubs and hotels, captivating audiences from coast to coast with his sparkling and sensitive keyboard artistry. A lounge record whose best feature is the cheesecake cover image. Sides consists of one track, or a medley of tunes that could have come direct from Rosner's nightclub act. From time to time someone briefly plays an electric guitar that seems out-of-place. From the back cover: Pianist Geri Galian is one of the nation's leading exponents of Latin music. He was born in Texas while his father, an opera singer, was on a professional tour of this country. They soon returned to Mexico City and lived there until Geri was twelve years old. At that time he went to Spain to study at the Madrid Conservatory. He later came to the United States and began his career at Monte Proser's "La Conga" in Hollywood as leader of the band. 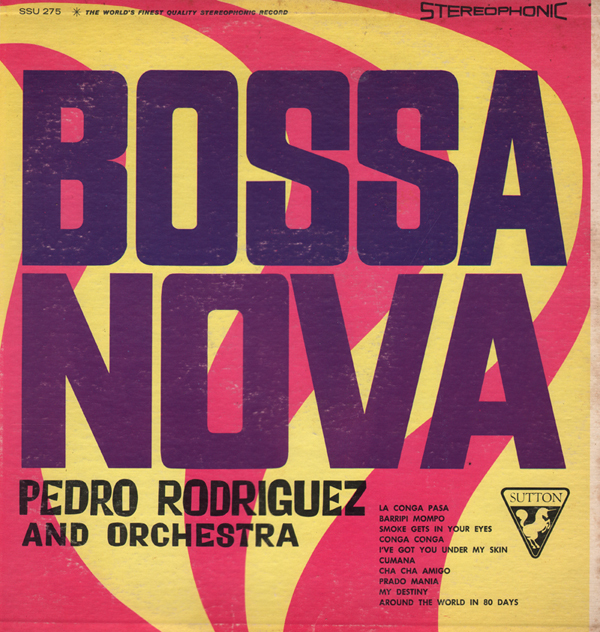 Since that time his intriguing Latin stylings have held sway in such plush nightspots as Ciro's, Mocambo, The Cocoanut Groove, The Beverly Hills Hotel and other top rooms. He and his orchestra have appeared in many motion pictures, the more recent being "Beau James" and "Marjorie Morningstar".